The ongoing protests and wilful destruction of critical infrastructure in Stutterheim can only be brought to an end if an Amahlathi Local Municipality council meeting is held tomorrow to implement the removal of the Mayor. DA Cllr Richard Pickering has written to the Speaker of Council and confirmed that the DA will consider taking legal action if the Mayor, Pateka Qaba, is not removed tomorrow. This after failing ANC councillors sabotaged two previous council meetings. Critical infrastructure continues to be destroyed, with the latest vandalism focusing on blocking sewage infrastructure. Water pumps, sub-stations and municipal buildings have already been destroyed by the protesting mob. The failing ANC provincial government and its absent Premier, Phumulo Masualle, have lost control of the violence, criminality and the total service delivery failure in Stutterheim in the Amahlathi Municipality. In late 2018 the ANC announced that the Mayor has been fired and that the Mayoral Committee is in the process of being dissolved. A Council meeting was set for last week to implement these decisions, but was sabotaged. Demands from protestors to have Municipal Manager, Ivy Sikhulu-Nqwena, and corrupt failing ANC councillors suspended, have also fallen on deaf ears. There has been zero service delivery since protest action began in October last year, with municipal workers afraid to come to work due to threats and intimidation. 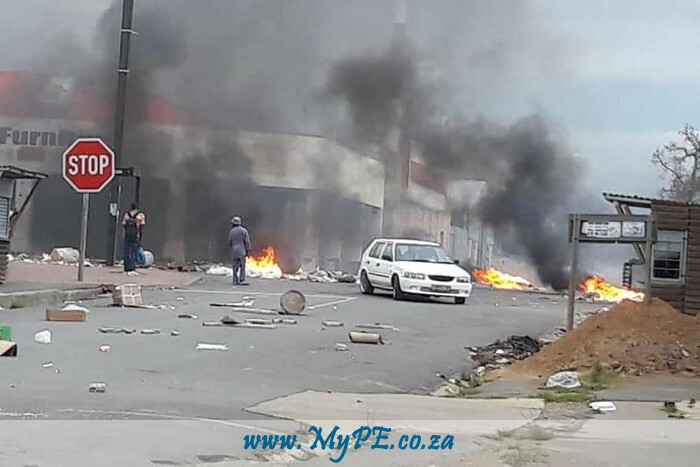 Attempts to resume services earlier this week caused further rioting in the streets. Businesses are losing money by the day, many have been forced to close their doors and jobs are on the line. Despite having written to Co-operative Governance and Traditional affairs MEC, Fikile Xasa, calling for the town to be placed under administration, there has been no intervention, except a promise to remove the Mayor. Xasa’s promised forensic investigation has also not materialised. The DA calls on the Municipality to ensure a Council meeting takes place tomorrow to get rid of the Mayor and save the town of Stutterheim. If this deadline is not met, I will write to President Cyril Ramaphosa and the Minster of Police, General Bheki Cele, to urgently intervene in this matter, and also consider legal action. Only a DA government can bring the change that will create fair access to jobs, deliver better services, has a plan to keep communities safe by ensuring we have an honest a professional police service and Build One SA for All. The power to bring change to the Eastern Cape is in the hands of the people. We therefore call on all eligible voters to register to vote in the upcoming General Elections.